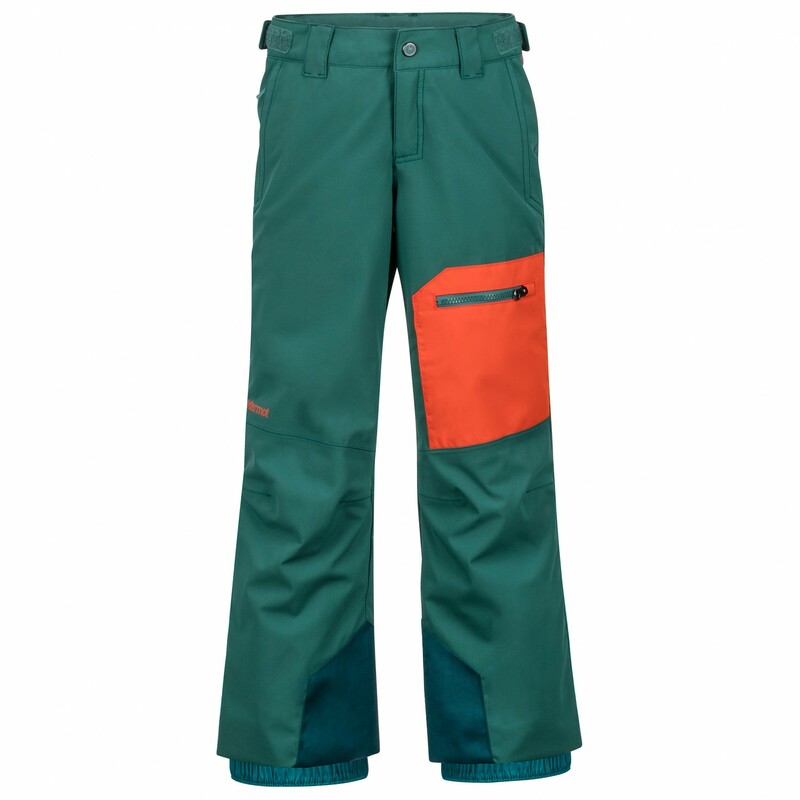 A colourful, sassy design - the Marmot Boy's Burnout Pant! 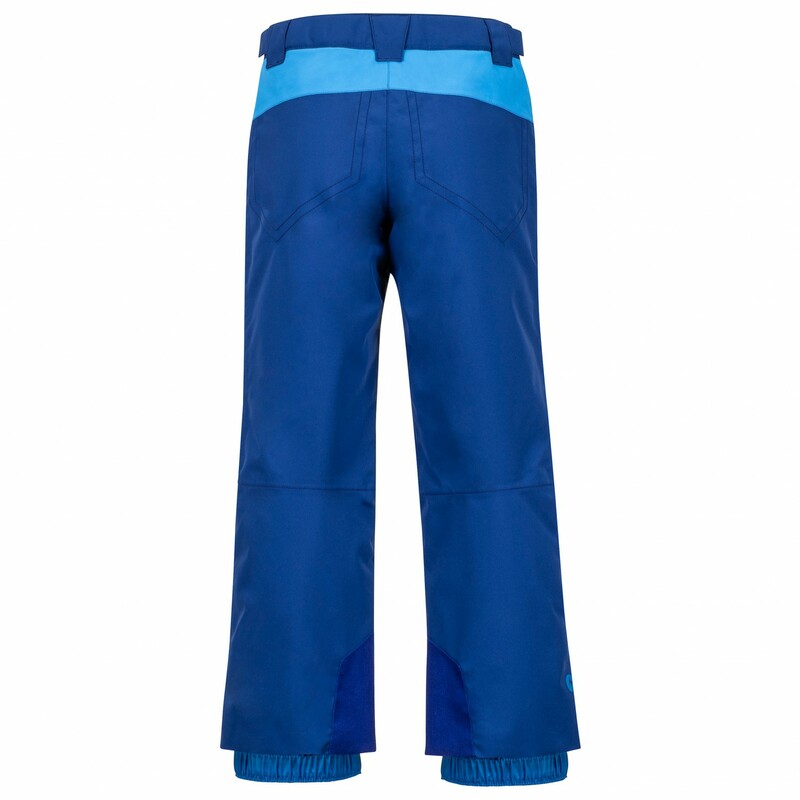 With these extremely versatile ski trousers, there'll be nothing stopping your little lad having some fun in the snow. The outer fabric is not only very tough, but also waterproof and breathable. This means that not only will the fabric stop water penetrating the interior, but it will also allow moisture on the interior to escape to the outside. 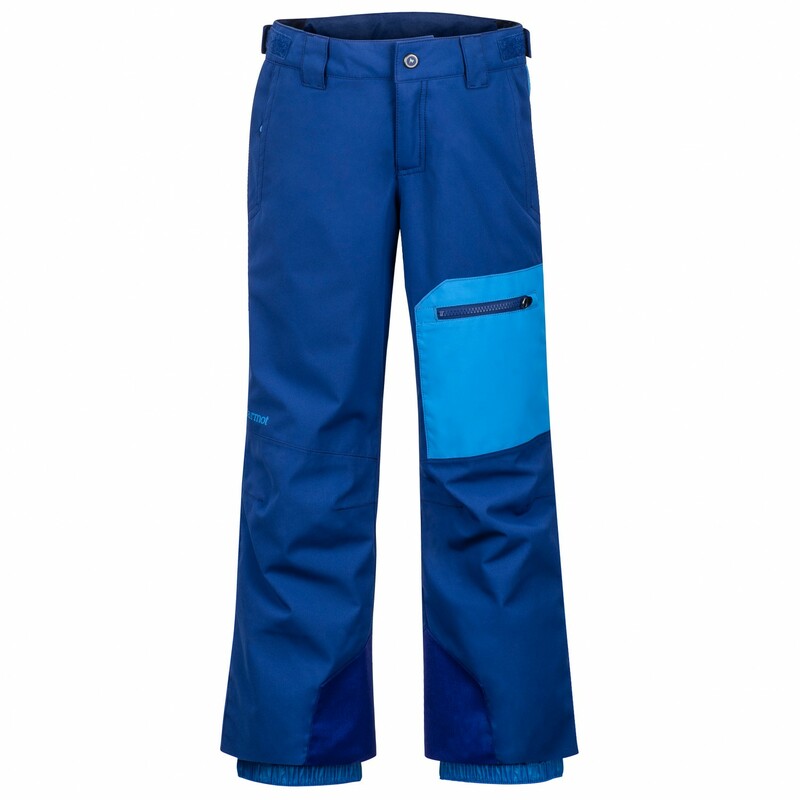 The trousers provide excellent insulation, so you can rest assured that your child will get the warmth he needs out in the cold. As for the fit, the trousers boast a straight fit, making them very comfortable to wear. Plus, they come complete with belt loops as well. As for storage, there is a total of five pockets with plenty of room for small items! The leg pocket is particularly convenient, as it will allow your child to carry around a small map or piste map if necessary. Each pocket has a zip closure, so all the contents therein will be secure.